Are you getting tired of listening to the same old tunes from your music playlist? Take a breather by tuning in to the best free radio app for Android and iOS devices. Free Radio App, often referred to as “internet radio”, allows you to stream music from a web based radio station, thus, internet connection is a must. It comes really handy whenever you feel like hearing random sounds from your favorite music artists all over the world. While some radio app requires monthly subscription, there are also non-profit ones. Hence, we have selected some of the best free radio app you can download and enjoy on either your Android or iOS phone and tablet. A consistent “Editor’s Choice” and the most downloaded internet radio app on Google Play Store and iTunes as well as our top choice for best free radio app is TuneIn Radio . This radio app lets you listen to a wide variety of music (rock, pop, country, hip hop, jazz, reggae, etc. ), sports news, current events and more courtesy of radio stations from every part of the globe. 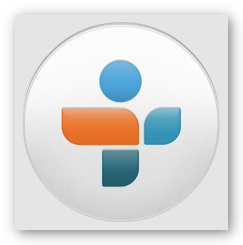 TuneIn Radio app is available for download on both Android and iOS devices. Coming in second for our choice of the best free radio app is Pandora® Internet Radio . It is another good internet radio app that lets you listen to free music from popular and upcoming artists in the music industry. One of the note-worthy features of Pandora® Internet Radio is that it allows you create and customize your own radio station. It lets you search your favorite songs via name of the band, song title or artist and add it to your personal radio station. 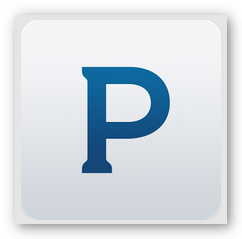 Pandora® Internet Radio app is available for download on both Android and iOS devices. Another free radio app that lets you express your musicality by creating your personal radio station is iHeartRadio . It also includes a convenient feature that enables you set a schedule as to when you want to tune in to the radio and it will automatically turn the app on (internet connection required). Moreover, with this internet radio app, you are guaranteed to enjoy live radio streaming without any interruptions or commercials. Consequently, iHeartRadio has been voted as the “best streaming radio app” and received the number 19th spot in iTunes’ “Free App of All Time”. 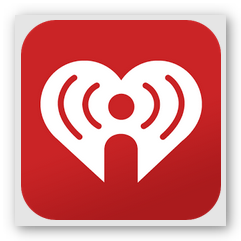 iHeartRadio app is available for download on both Android and iOS devices. Indeed, it is quite refreshing to listen to live streaming from your preferred internet radio stations on your Android and iOs devices from time to time, however, it requires that you are connected to the internet through available WIFI connection or via data connection provided by your local carrier that will incur data charges which absolutely defeats the purpose of having a free radio app, that is to enjoy listening to free music. As a quick fix, you can always download the hottest and freshest sounds of your favorite artist from video and music streaming website like YouTube, Vevo and more with AVGO Free Video Downloader. It is very simple to use and can easily convert downloaded videos to MP3 (and other format) with just one-click. Get Free Video Downloader now!